I know there are a lot of people who are feeling a little depressed at the thought that Summer is over. I understand, I love the sun. However I also have to admit, that I love Autumn. For me it’s my favourite time of year. I love the colours: they are so bright (yellow is my favourite colour). I really like the golds and reds; the greens and yellows and the oranges and browns that gently paint the country like a patchwork quilt. I love the tiny spider webs that are made visible by dew falling on the grass. I also love the slight chill in the air that sends hints of fireworks nights and Christmas celebrations that are to come. That chill that makes one want to wrap up warmly and go home to snuggle under a duvet with a mug of comforting hot chocolate. I decided that I wanted to do something to celebrate this glorious season (am I convincing you yet?). What better way than making these sweet little leaf earrings from this months Sew Hip magazine? Sew Hip is my favourite sewing magazine and this months issue has so many patterns that I want to make (sock hobby horse need I say more…). 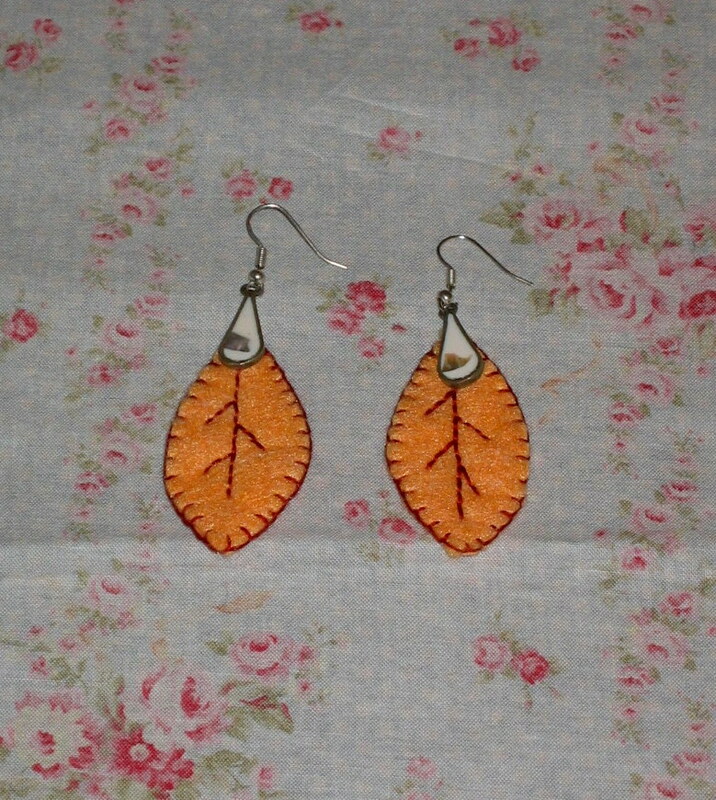 I decided that I would start with these cute leaf earrings. They look a little different in the magazine as the originals are made from green felt which pale stitching and little rose beads at the top. 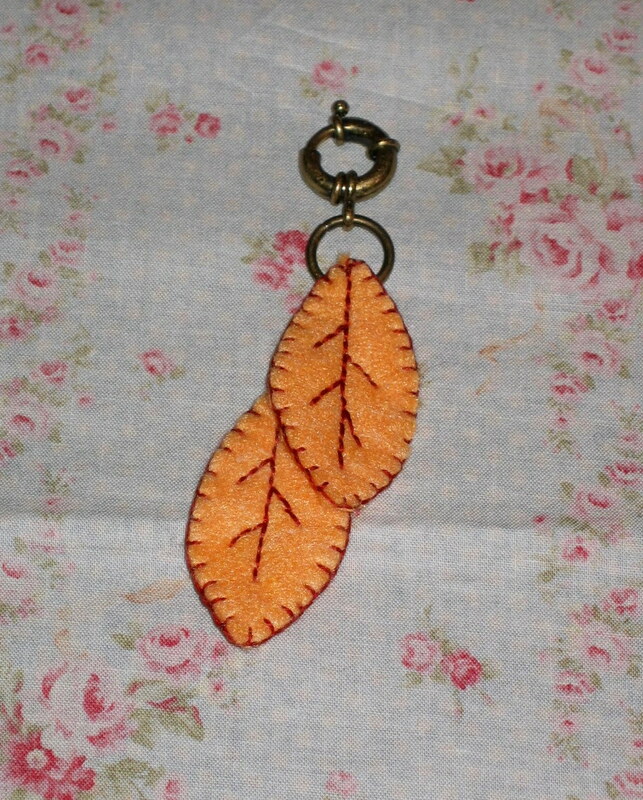 I wanted to do something Autumny (yes I know that is a made up word) so I chose orange felt with a dull red stitching. This was my first attempt at blanket stitch so don’t look too closely! I had so much fun that I decided to make a keyring too! I sewed the leaves together and attached it an over sized bracelet clasp (recycled from a bag of broken jewellery I found). It already looks great on my bag.